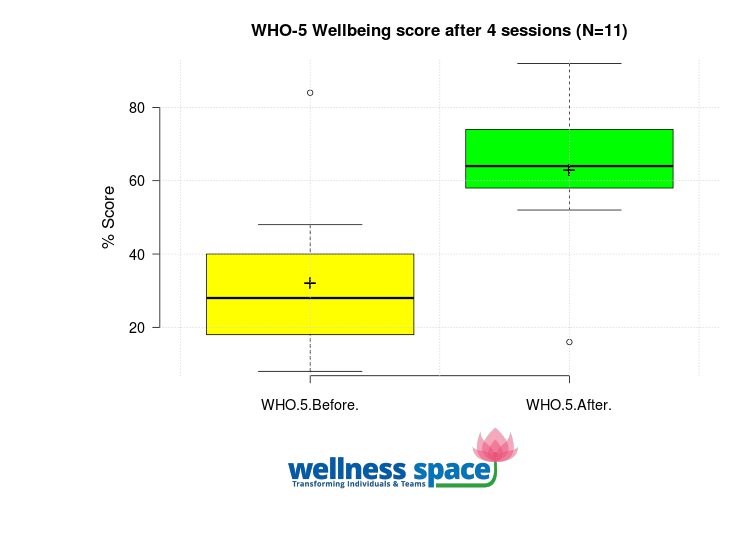 At Wellness Space, we make an attempt to quantify the effect of the intervention. One such example is the use of WHO-5 Wellbeing Index (https://www.ncbi.nlm.nih.gov/pubmed/25831962), a commonly used and simple tool. How to understand if the regression or inner child or NLP session is working as planned?